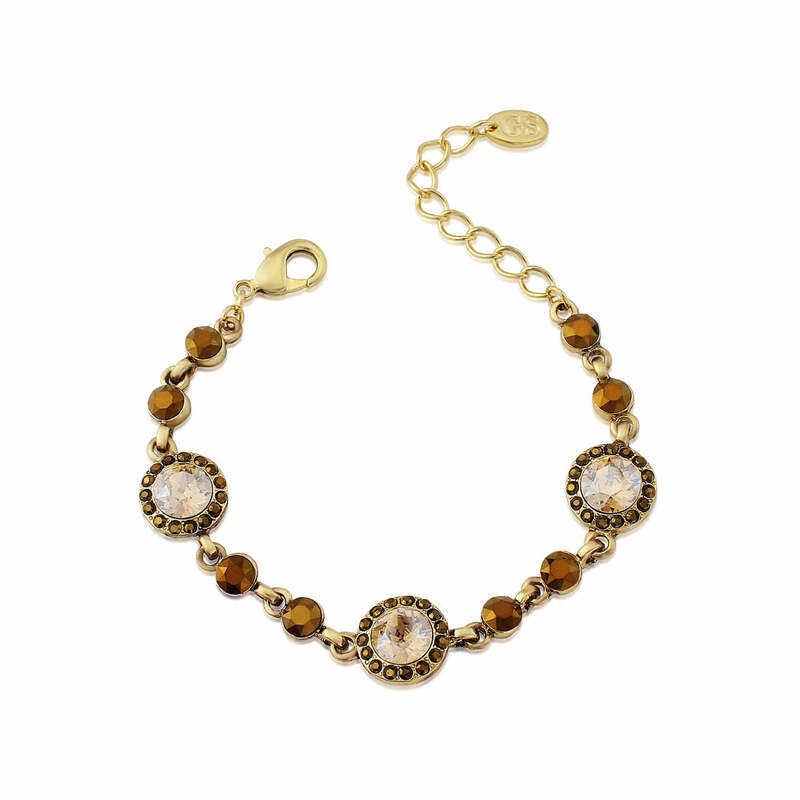 Worthy of heirloom status, this stunning gold and champagne vintage inspired bracelet is luxuriously delicate in style. Gloriously gorgeous tones of opaque old gold and champagne come together to create our Luxe Treasure Bracelet. Simply a treasure worthy of heirloom status, this antique gold tone ‘piece’ is delightfully decadent. If you adore gold vintage jewellery that combines luxurious hues in a delicate design, you’ll fall in love with Luxe Treasure Bracelet. Perfect to add a hint of subtle shimmer for all occasions for a less formal dinner date to glamorous ball, team with matching earrings from our coordinating collection or go full hilt with complementing hair accessories too. A beautiful vintage style wedding bracelet for brides and bridesmaids, Luxe Treasure would look exquisite accessorizing a rich cream lace bridal gown or with coffee or gold bridesmaid dresses. The epitome of bygone beauty, embrace antique elegance on your special day with this coveted little gem.